The full mount. The most dominant control position possible in the positional hierarchy, together with back control, it is one of the most iconic positions in Brazilian Jiu-Jitsu. In the old style-vs-style days of the Gracie Challenge matches, the typical gameplan for the BJJ practitioner was Gracie stomp kick -> Double Leg Takedown -> Mount -> Ground and Pound or Rear Naked Choke when opponent turned away from the strikes. In this article, we will take a look at the unique position of the mount in BJJ compared to other grappling arts as well as its usage in modern grappling and MMA competitions. But first, check out a couple videos below on some important mount concepts. The unique use of the mount in BJJ versus other grappling arts. In other grappling arts, such as judo or wrestling, in which a victory can be achieved by a pin, a pin is defined by pinning the opponent’s back or both shoulder blades on the ground. Hence, the mount position is rarely used for a couple main reasons; the first being that it is easy for the grappler under mount to turn belly down and give up the back, which doesn’t count as a pin even if they are flat on their belly. Further, with limited time or a lack of submissions, turning belly down is a much less risky prospect compared to when in BJJ. The second reason is that the mount is typically achieved from an already dominant position such as side control, which would already count as a pinning position (hence there is no incentive to further advance to the mount). As BJJ has its combative roots in No-Holds Barred Vale Tudo style matches, achieving the mount was often the main goal of the BJJ practitioner, as it was the best possible position to deliver strikes from, as well as allowing easy access to the back from an opponent turning away from said strikes. In recognition of this fact, BJJ competitions award 4 points for gaining the mount, the highest possible, next to back control. While the mount remains a dominant finishing position in MMA, its role in a grappling only context is widely considered to be far less effective to its brother, back control. This is due to a few reasons; firstly, without any strikes to open the bottom opponent up, it is relatively easy for the person under mount to shell up and just focus on protecting the neck and keeping the elbows tight. Further, without the use of the gi, the ability of the grappler in mount to attack chokes is greatly reduced, usually being limited to the arm triangle choke and the guillotine (which is usually set up from elsewhere and only finished in the mount position). Thirdly, it can be very difficult to maintain the mount on a significantly larger opponent, and it is usually a far better choice to use back control against a larger opponent instead. As such, it is typical that grapplers who are able to regularly dominate with the mount are usually on the larger side, such as Roger Gracie (the poster boy for the dominance of the mount), Rafael Lovato Jr., and the Ribeiro brothers. In addition, many details that separate a good mount from a truly great mount are usually invisible; due to the more static nature of the position, it is very difficult to discern and learn said details by merely watching. This is in contrast to back control, where a practitioner would usually be able to pick up the majority of details through viewing. Hence, it is very common that many BJJ practitioners only truly develop their mount game at the higher belts. To conclude, while the mount remains a dominant position in BJJ and is an important scoring position, due to the reasons outlined above, most practitioners prefer the use of back control. 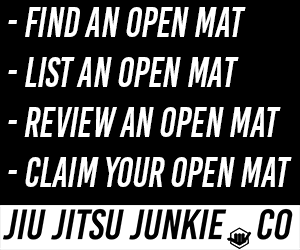 This goes doubly true in submission-only no-gi tournaments, in which the mount can actually be dangerous to the grappler on top due to the ability of the bottom grappler to escape directly into a leg entanglement (as seen by grappling standout and member of the Danaher Death Squad, Gordon Ryan). However, in true combat, as seen in MMA and Vale Tudo, the mount has lost none of its effectiveness and still remains an optimal position from which to finish the fight.